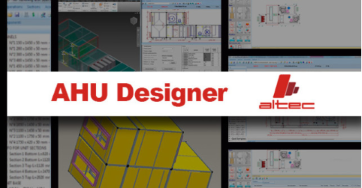 The greatest advantage an engineering company providing software solution for selection and production automation can deliver to an AHU manufacturer is the product development expertise and management of the whole product development process. The knowledge of the market trends and of user expectations, in conjunction with a deep expertise in the manufacturing environments, represents a necessary link between the solutions from various disciplines integrated into an optimized solution and management of the product development process: from “Concept to Production”. Please click on the link below to get the full AHUmagazine article.